Does what I have underlined strike you as probable? Exterminationists may claim that the death rate is too high to be accounted for by disease alone. Kingfisher wrote: the death rate is too high to be accounted for by disease alone. As supply missions to the camps were systematically sabotaged by the Allies, no rate would be too high. Just a thought but in the first world war those infected could be isolated and were treated as a valuable asset. Thus the infection rates were lower than those claimed in the camps, where the population were by definition confined and not able to be isolated. Infection would be much higher and due to the conditions at the height of the war treatment was difficult, hence the memo from Himmler. I agree that the figure of 60%-100% does seem extreme but it is still perfectly possible and there was little duty of care shown. Kingfisher what do you think the figures show or indeed hide? borjastick wrote: Just a thought but in the first world war those infected could be isolated and were treated as a valuable asset. Thus the infection rates were lower than those claimed in the camps, where the population were by definition confined and not able to be isolated. Infection would be much higher and due to the conditions at the height of the war treatment was difficult, hence the memo from Himmler. Bingo! In such a confined area contagion would be probable rather than possible. And once again, for Jewish supremacists to instead claim 'extermination' they must dodge the scientific impossibilities of their claims, which Revisionists will not allow. borjastick wrote: Does what I have underlined strike you as probable? Exterminationists may claim that the death rate is too high to be accounted for by disease alone. This does not raise any problem since these deaths are attributed to typhus epidemic even by orthodox historians and no intelligent person would claim that the Germans in August 1942 produced death certificates for a few thousands of their allegedly gassed victims. IIRC, according to Höss, records and statistics of gassed people were forbidden. Secondly, some 8,600 deaths in August is not at all one third as Kingfisher said, there were some 40,000 inmates, you must count also women camp. Maybe there is some confusion here between mortality and morbidity. Mortality rate is a measure of the number of deaths (in general, or due to a specific cause) in a population, scaled to the size of that population, per unit of time. Mortality rate is typically expressed in units of deaths per 1000 individuals per year; thus, a mortality rate of 9.5 (out of 1000) in a population of 1,000 would mean 9.5 deaths per year in that entire population, or 0.95% out of the total. It is distinct from morbidity rate, which refers to the number of individuals in poor health during a given time period (the prevalence rate) or the number of newly appearing cases of the disease per unit of time (incidence rate). The term "mortality" is also sometimes inappropriately used to refer to the number of deaths among a set of diagnosed hospital cases for a disease or injury, rather than for the general population of a country or ethnic group. This disease mortality statistic is more precisely referred to as "case fatality rate" (CFR). Therefore a mortality rate of 30% or any percent, does not imply that it is 30% of a 100% infected group. 30% mortality is defined as 30% deaths among the entire group, regardless of the % of that group which may be infected. Mortality which is the topic here is mortality vs. strength of the camp. As far as I know, there are no documents which show how many people were infected, how many recovered and how many died. If I may try and clarify the issue of 30% mortality at Auschwitz in August 1942. The statement "6829 (or 6889) men, 1525 women;" is from a separate message decode as indicated by the message references given (223b/14,24,43,50) in this case for Auschwitz, message ref: (223b/24) and is not from daily HORHUG decodes. The GPCC or HORHUG inmate returns in August 1942 at Auschwitz, did not include separate figures for deaths, let alone deaths broken down by men and women. As we only have one inmate table for August 1942, it is clear that the 30% referred to is for that inmate table. We can further deduce this, from the maths and from the appearance of the 2nd inmate table, beginning on 1st September 42 and denoted with the (as yet unresolved) VPA sub-heading. This 2nd table is referred to as the "women's camp" by the BP analysts. This new VPA table implies that HORHUG type returns for women were either, not being transmitted or not being decoded in August. The timing of the new 2nd table and it's designation as "the women's camp" by the BP analysts, "near Auschwitz", ties up with the relocation of the women's camp to Birkenau in August. If that analysis is correct, then the 30% mortality quote can only relate to men at Auschwitz in August 42. This is because the new HORHUG returns for the VPA "women's camp", beging with a total of 16,649 (women) and the only part of "6829 (or 6889) men, 1525 women" that constitues 30% of anything is "6829 (or 6889) men" as a percentage of the August table to which the analysts refer and which, by the appearance of the new VPA women's figures in September, we can deduce, has to be men only. This then reconciles the BP analyst's assertion of 30% mortality as a proportion of the GPCC (HORHUG) figures, that is, 6,829 is 30.6% of the closing August inmate total of 22,549 or 29.7% of the August average 22,965. There is of course, one other possibility that the opening inmate total of 16,649 is a subset of the August population of, say the average of 22,965. This scenario would only leave 6,316 men in the camp and so is considered unlikely. If anyone else can discern an alternative attribution of the 30% then please post it. Bob wrote: Secondly, some 8,600 deaths in August is not at all one third as Kingfisher said, there were some 40,000 inmates, you must count also women camp. At first glance it may seem odd that, on the one hand we know that the OS2 summary report which quotes the 30% figure, is dated 27 September 42, by which time BP are already decoding the 2nd set of VPA HORHUG returns, yet they appear to have only done the 30% maths on the single table Aushcwitz figures. "Internal evidence proves that this camp is near AUSCHWITZ; as there is known to be a women’s concentration camp at AUSCHWITZ, where 1525 women died in August (223b/24), it is likely that these figures refer to it." This then provides further context for their 30% mortality statement, which you correctly infer, disregards the [now] known female population at Auschwitz. The accuracy of your statement asserting that mortality should be quoted as a percentage of the overall population, men and women, is entirely reasonable, imo, even if we consider the relocation of women to Birkenau in August. One could argue about the detail, depending on the date of the move, but in any case, the women would have been relocated from the same camp that was infected with typhus and so your point is valid. We also do not know if "women" includes children. So there is another population variant that would further reduce overall mortality if children were not already included. The 30% BP figure, with our 20/20 hindsight, can therefore be adjusted down. 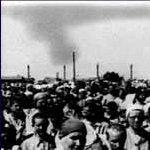 Horhug wrote: The accuracy of your statement asserting that mortality should be quoted as a percentage of the overall population, men and women, is entirely reasonable, imo, even if we consider the relocation of women to Birkenau in August. Yes, when one wants to compare mortality and camp strength, is needed to include whole camp, not only one part without reducing the number of deaths which came from the omitted parts of the camp. In this case we are not dealing with one third, but with one fifth, some 21,5%. I agree that some confusion has arisen over the use of "mortality". I used it as it had been used in the Wikipedia article I quoted. Perhaps it was wrongly used there. The infection is treated with antibiotics. Intravenous fluids and oxygen may be needed to stabilize the patient. The mortality rate is 10% to 60%, but is vastly lower (close to zero) if intracellular antibiotics such as tetracycline are used before 8 days. Infection can also be prevented by vaccination. the proportion of sickness or of a specific disease in a geographical locality. We don't want to get bogged down in this. The terms used are less important than understanding what we are actually talking about, which seems to be whether or not one third of all inmates died, as astro3 wrote. It does seem a very high figure, and from what others have written above, it appears to be a mistake. Kingfisher wrote: We don't want to get bogged down in this. Kingfisher wrote: The terms used are less important than understanding what we are actually talking about, which seems to be whether or not one third of all inmates died, as astro3 wrote. It does seem a very high figure, and from what others have written above, it appears to be a mistake. It's not a mistake at all. One third of all inmates known to the BP analysts did die. Please read my previous two posts. If you have any questions, I'll try and answer them. Horhug wrote: We are a UK based team of academics, historians, scientists, campaigners and ordinary people whose aim is to present facts, encourage debate, educate and to become the UK's focus for Revisionist activity and discussion. That's a superb looking website. Thank you, BR. Suggestions and contributions (articles that is, not money!) are welcome.